It's now beginning to feel like a very stiff structure, even without the speedbrace installed on the trusses! 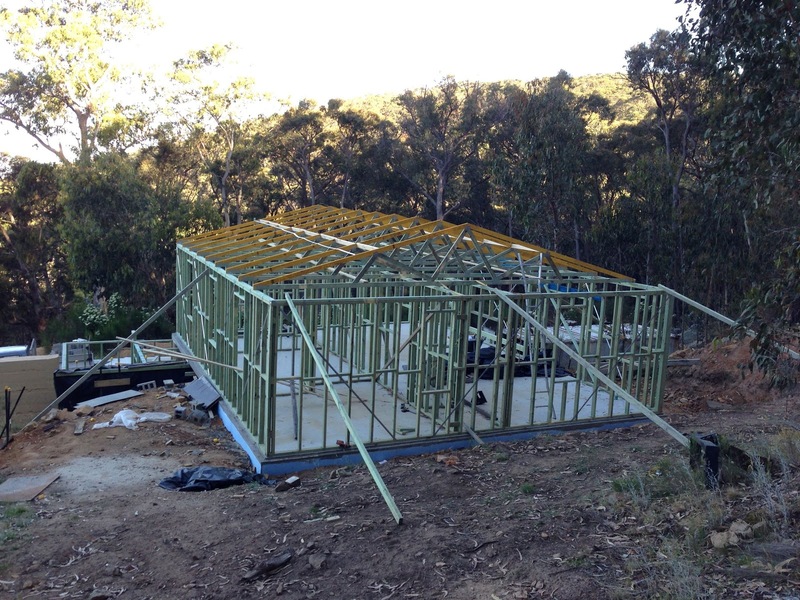 The plan this week is to gear up for the couple of weeks I'll spend on site over the Christmas break - I plan to completely frame the garage, erect the bush pole frames and get the garage trusses up and the whole thing ready for inspection. 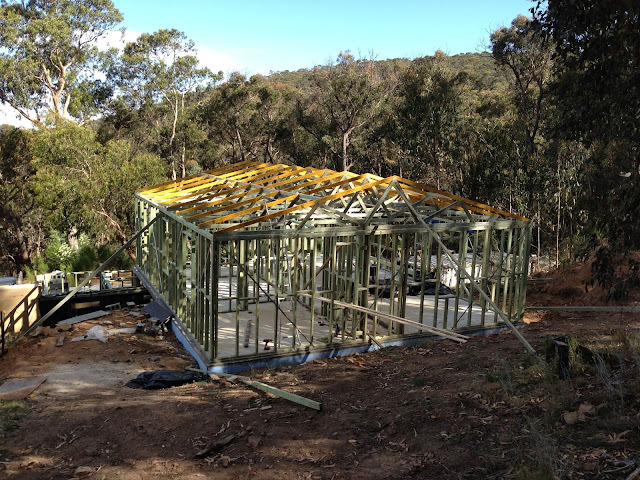 I want to keep the timber out of the weather as much as possible, so I'm aiming to get the roof on and the Hebel installed as soon as I can.